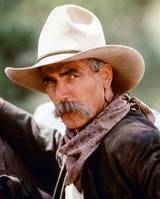 Sam Elliott, actor, this big screen star is known for his cowboy persona, moustache and gravely voice Elliott’s job resume includes a stint as a construction worker. Javier Bardem, actor, this star of the big screen has the distinction of being the first Spanish actor to be nominated and win an Academy Award. As a teen, Bardem played on the Spanish National Rugby Team and studied painting he worked as a bouncer, construction worker, writer and male stripper.